There are numerous choices for people in Dubai, if they have intent to relish authentic Indian food in the city. However, if they are seeking a luxurious and extremely comfortable Indian bistro in the town that has romantic ambience and lively environment, then Options Restaurant near Sheikh Zayed Road is the first name that abruptly comes to any foody’s mind. The reason behind this is the luscious dining experience plus the top signature dishes of well-known star Indian chef Sanjeev Kapoor. The long list of exotic and delicious Indian dishes is cooked quite carefully and then served in impressive and luxurious settings of this restaurant, where hospitality is also quite impeccable. 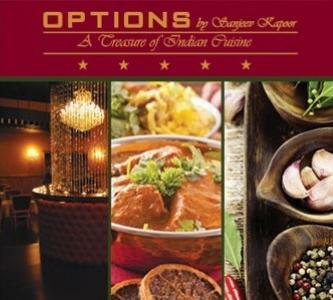 Options Restaurant is well known for its flattering dining experience, as it features signature dishes of famous celebrity chef Sanjeev Kapoor. Aside from the signature dishes, guests can also savour buffet at this bistro, as its name already suggests that there plenty of options in the menu. The appetizers includes traditional delicacy like curled papads, while the main course comprises of seafood variety like jhinga jalali and the superb raan buzkazi, from which one can imagine that the list of scrumptious dishes is quite wide. Impeccable services make the dining experience at this restaurant even more charming. Live Dj and pianist performances make the environment of this venue even more vivacious and attractive. Plus people can hang out at this spot with their families to enjoy brunch as well apart from usual lunch or dinner. Business lunch is another highlight of this establishment, as it also allures lot of professionals. To attract the crowd other than peak hours, Options Restaurant has also launched happy hour deal, so they could increase their sales nadir hours. This eatery opens daily and lunch is served between noon and 3:00 pm, while dinner is dished up from 7:00 pm till 11:30 pm. 312th Road, Near Dubai Press Club, Dubai, United Arab Emirates. Head northeast out of this metro station and then turn slight left, before making a slight right turn. Afterwards make a left turn left and then take a sharp right turn that will lead you to another turn, which goes on the right side. Make a slight left turn from there and then turn right in order to locate the destination, which is not too far from there and can be found on the right side after covering some distance. 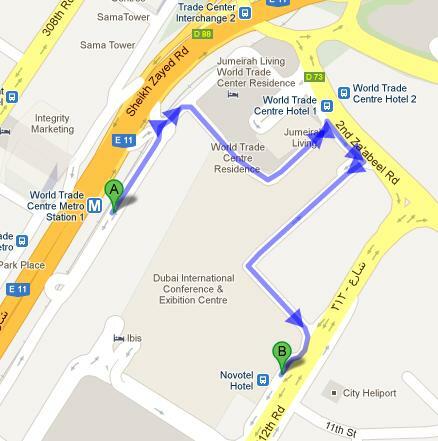 Use bus number 27 or 29 and get to Novotel Hotel – Dubai bus stop that is hardly 43 metres away from Options Restaurant and makes up less than half a mniute's walking journey. If bus user head in the southwest direction from this bus stop and then take a sharp right turn that will bring him or her to the destination located on the left side. Check map for directions.